Rev. Joseph LeClair — Father Joe to his legion of supporters — has made his return to the Archdiocese of Ottawa four years after being convicted of stealing from the coffers of Blessed Sacrament Parish. Archbishop Terrence Prendergast announced LeClair’s return to active ministry in a letter issued last week to priests in the diocese. “As you can imagine,” Prendergast wrote in the letter, obtained by this newspaper, “this is a challenging transition and we would like to support his return to ministry here in Ottawa. LeClair, 60, had been on assignment for the past two years to a parish in Guelph, On., in the Diocese of Hamilton, but has always remained a member of the Ottawa archdiocese. In Ottawa, LeClair will be living at a central residence while remaining on call to fill in for priests to say mass, conduct funerals and visit the sick in local hospitals. This Citizen asked for an interview with LeClair to discuss “how his past will inform his future ministry,” but a spokesman for the diocese declined the request. “Father LeClair is not available for interviews,” said Deacon Gilles Ouellette. The P.E.I.-born LeClair worked as a teacher and social services worker before being ordained a priest more than 30 years ago. His empathy, humour, storytelling and spirituality made him an immensely popular priest, and after being appointed as pastor of a then struggling Blessed Sacrament Parish, he turned the Glebe church into a thriving religious community. LeClair officiated at the wedding of then mayor Larry O’Brien, hosted a Sunday morning radio show on CFRA, and spoke publicly about dealing with depression and the pain of his father’s alcoholism. 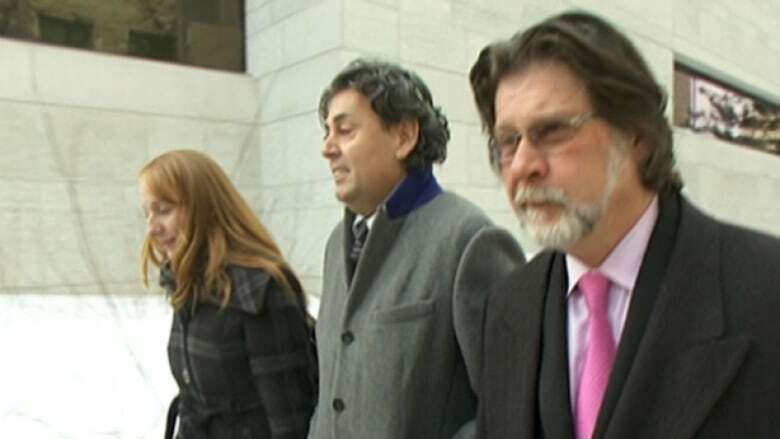 He was among the highest profile members of the Ottawa clergy when the Citizen published a story in April 2011 that exposed his casino gambling, large credit card debts, the complete lack of financial controls at Blessed Sacrament, and the existence of an internal audit that raised serious questions about how money was being handled at the church. LeClair admitted to a gambling problem but steadfastly denied taking parishioners’ money. He blessed those who cancelled their Citizen; hundreds did. Two weeks after the story’s publication, LeClair resigned as pastor under pressure from the diocese and underwent addictions treatment. A subsequent audit by Deloitte and Touche revealed that $1.16 million moved through LeClair’s personal account between between January 2006 and December 2010. About $400,000 of that could not be tied to his salary ($22,000 a year), stipends, gifts or casino winnings, the auditors said. The archdiocese recovered $379,000 in an insurance settlement, and introduced sweeping financial reforms at all of its churches. In January 2014, LeClair pleaded guilty to theft and fraud. Court heard that he wrote cheques to himself from church accounts, overcharged for his personal expenses, dipped his hand into Sunday collections (stashed uncounted in his closet), and redirected fees for marriage preparation courses to his own account. Most of the money he took from the church, a registered charity, went towards the repayment of his gambling debts, court heard. His lawyer said LeClair turned to alcohol and gambling to relieve the stress and anxiety associated with ministering to his large parish. LeClair was sentenced to a year in jail. He was released in November 2014 and spent time in a Moncton parish before being moved to Guelph, where he continued to struggle with addiction. He pleaded guilty to impaired driving in August 2016, three months after being stopped with more than twice the legal limit of alcohol in his system. In his recent letter to the clergy, Archbishop Prendergast said everyone in the diocese is aware of LeClair’s troubled past. An Ottawa priest who was convicted and sent to jail for defrauding his church of $130,000 has returned to work in the city. Archbishop Terrence Prendergast was unavailable for an interview Wednesday, but in a statement he confirmed Father Joe LeClair had returned to work. “I have asked Father LeClair to be available to help with masses in parishes, to help with funerals … hospital on-call ministry in the evenings and weekends and other opportunities to provide ministerial assistance,” Prendergast said in the statement. LeClair pleaded guilty in 2014 and was sentenced to a year in jail. After his release, he worked as an assistant priest in New Brunswick. His lawyer told the court LeClair had a serious gambling problem and took the money from Blessed Sacrament Church over the course of five years. Prendergast said LeClair is eager to serve the community and the diocese believes he will be helpful. I was not impressed by Fr. Joe’s lack of judgement and boundaries. During a Sunday sermon, he discussed how the inmates cheered and wanted him to come back when he was released and he was allowed to go back and hug them, as the guard allowed him to say his good-byes. Young, impressionable children were attending this MASS. He was a role model for these children. It makes me wonder what the Bishops were thinking when they made this move for him? They certainly did not think of the children’s best interests. I’m not sure what the context of this is, but we should be careful about what we’re claiming to be bad. Remember – we’re Christians, called to what is described in Matthew 25. If Fr. Joe was using this as a way of showing that such men are worth the Christian’s love – agape – he was being entirely faithful to the gospel. I wasn’t there so cannot say. We’re taxpayers. And when we’re too poor to pay income taxes, we pay sales taxes. We pay fees of all kinds to governments. We funded the various Catholic charities that allowed Father Joe Leclair to operate his fraudulent scams. We paid to investigate his crimes; twice. We paid to have him prosecuted; twice. We paid to have him convicted and sentenced; also twice. We’re well into north of 500K just because of your Christian Father Joe and that’s not counting the money which he misappropriated and is unaccounted for. Money that could have been used to help the homeless, the elderly, children and the sick. Money that was spent instead on booze and gambling because your Christian Father Joe believes not in JC but JD and he doesn’t trust providence but he believes in Lady Luck. You want to be a Christian? Sell all of your belongings and pay for the so very catholic malfunction that is Father Joe Leclair. Show me a receipt. You can get someone to take a picture of the receipt you’ll get from the Receiver General after you will have gifted all of your belongings to the Federal Government then have someone post it here. Until then, leave ordinary Canadians alone with your mindless Bible verse quoting. Thanks BC! Well said, and so very true. Mike.